Happy Monday! 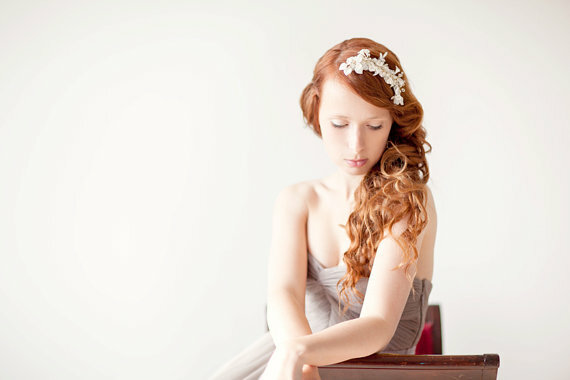 Today’s #HANDMADEADAY find is a bridal hair accessory we can’t stop obsessing over! 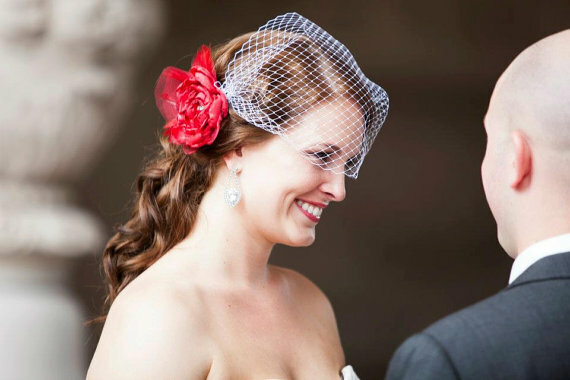 Have you thought about wearing a bridal hair vine instead of a veil? 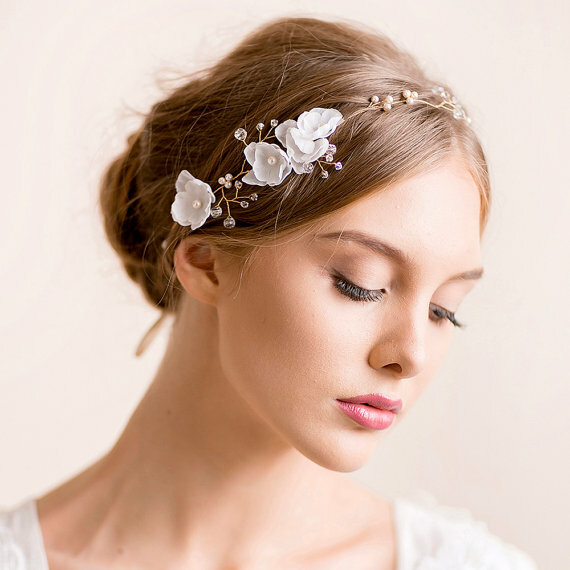 This delicate hair accessory is handmade with Swarovski pearls and crystals, along with hand-shaped flower blooms in natural silk. 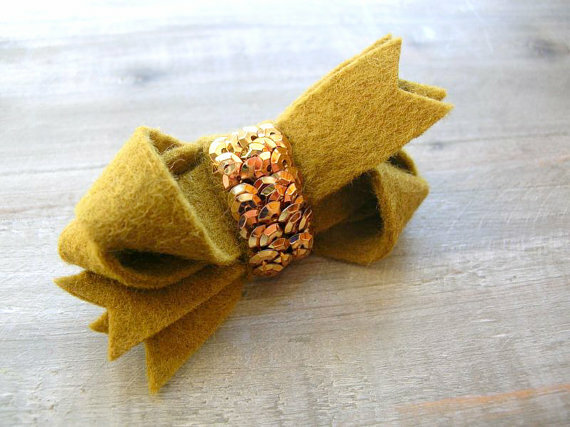 This makes a beautiful accessory for a bohemian, woodland, or beach wedding. By Florentes. Take a look! Hi, loves! 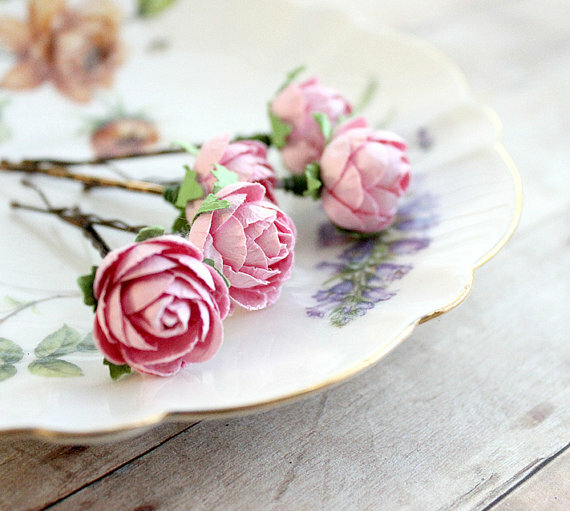 Emma here and it’s time for our daily handmade wedding find. This boho bridal hair chain is perfect for a hair down hairstyle or an updo. We spotted it over at Lottie Da Designs and, if you want to make a statement down the aisle, this will do! I love this piece. Take a look! You can see boho bridal hair chain (and other adornments) right here. 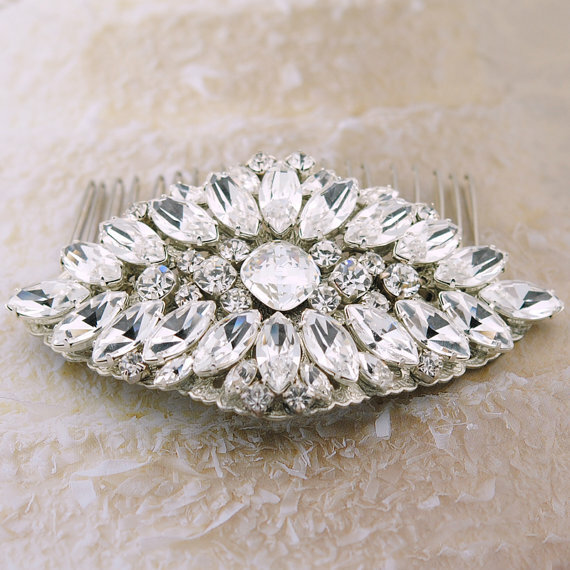 Spotted: an insanely gorgeous crystal bridal hair comb handmade by Tigerlilly Jewelry. 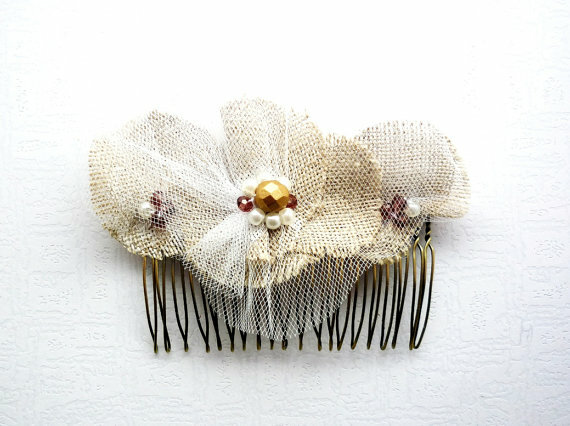 This hair comb will add a vintage touch to your hairstyle and will be enjoyed for years to come. Comb measures 3″ in length; 2″ wide. The stones are Swarovski crystal elements. To buy yours or view more from this talented artisan, visit Tigerlilly Jewelry. Hello, lovelies! 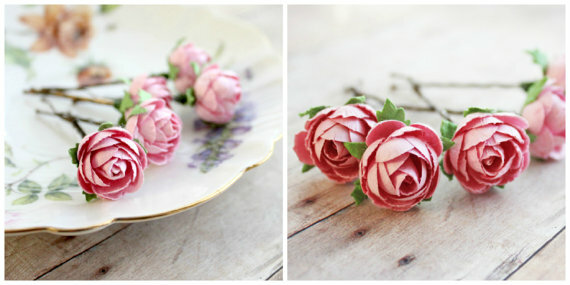 Today in The Daily Find we’re featuring flower girl hair pins in a pink papery rose by Roses and Lemons. 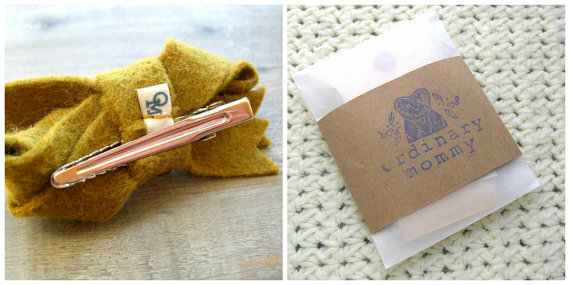 These sweet, oh-so-soft bobby pins make a great gift for your littlest bridal attendant. 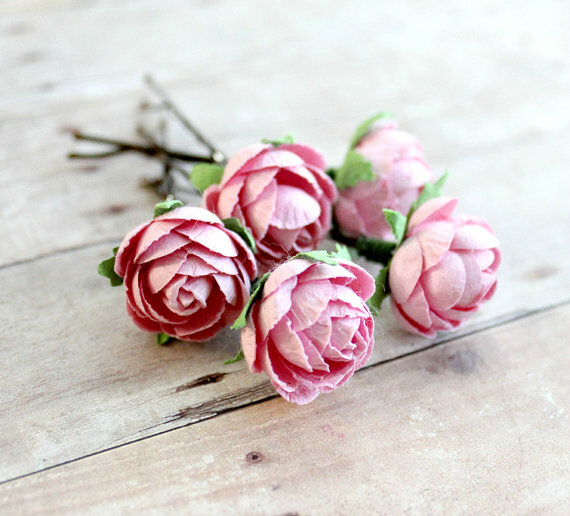 Pick up a set of flower girl bobby pins from Roses and Lemons here. 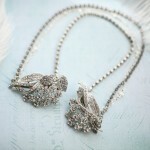 You’ll also find whimsical hair pins and gorgeous jewelry for yourself and your bridesmaids, too. Enjoy! 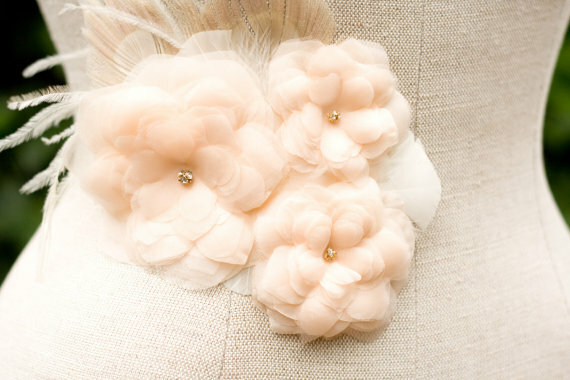 Spotted: a gorgeous blush bridal sash with the softest, prettiest feathers we’ve ever seen. Can also be worn as a bridal hair accessory. By Tiffani Saxton Designs. Hi, loves! Looking for something sparkly to add to your ‘do? 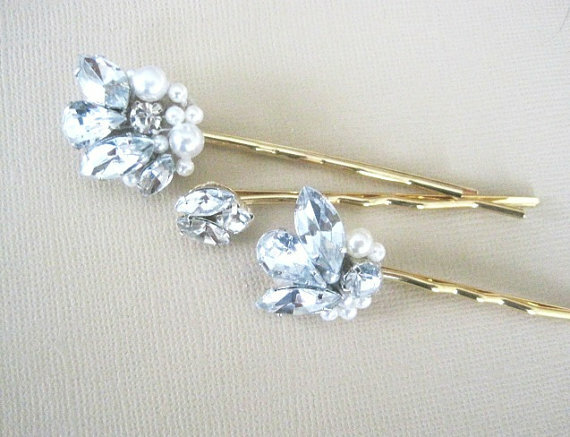 Consider a set of these gorgeous vintage style rhinestone hair pins spotted at Amu & Pri. This set of three bobby pins – in a gold tone – features brilliant, sparkly rhinestones and can be easily added to any hairstyle. Buy ’em for yourself or present as a thank you gift to bridesmaids. Oh, my. We spotted this pearls & twigs bridal fascinator at SIBO Designs today and we’re in love with it. This bridal fascinator is delicately crafted with branches of pearls, faux pearl flowers, Swarovski crystals, and faux pearl leaves. 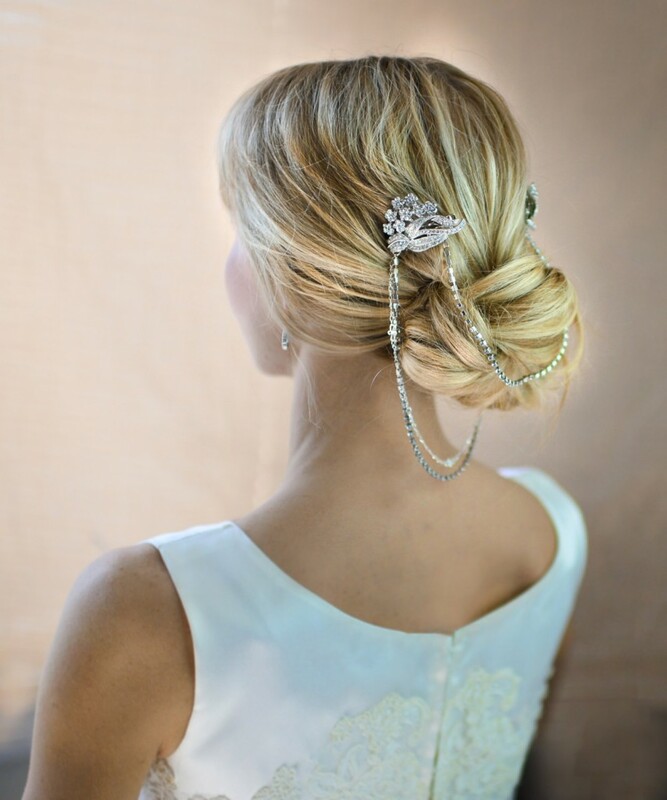 The piece – named Pearls & Twigs – is mounted on a comb for easy placement in any wedding hairstyle. The width of the piece measures 5.9″ and is 100% handmade.